The gift of a diamond engagement ring is quite possibly the most romantic gesture of a lifetime. 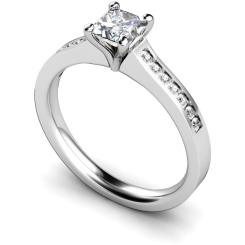 Make it extra special by choosing a shoulder princess cut engagement ring. 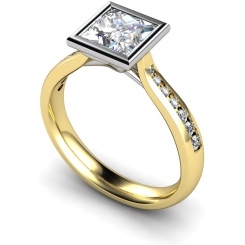 The princess cut is the second most popular diamond shape after the round cut, while smaller in comparison, the princess is longer and is square with sharp, uncut corners. Combine the brilliance of the 76 facet princess cut diamond with a handpicked selection of shoulder diamonds on the shank, and you’ve got a recipe for romantic perfection. While the princess cut itself is a relatively new diamond shape, the history of the engagement ring is long and coloured. The Ancient Egyptians used to wrap a wire around what is now known as the ring finger, the tradition evolved in Europe in the form of grass wrapped around the wrist and waist to symbolise the union of souls. 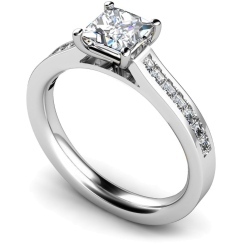 We believe the shoulder princess cut engagement rings to be among the most stunning romantic gifts for a lover, and with Shining Diamonds we make it our mission to deliver the most luxurious selection of diamond rings on the market. 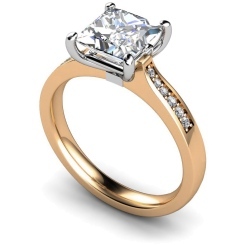 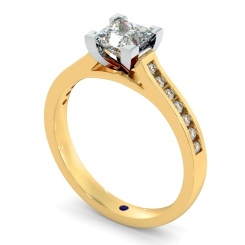 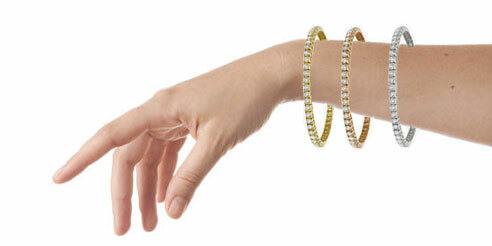 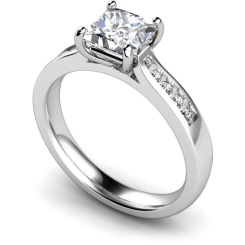 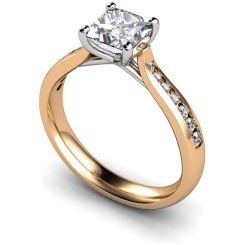 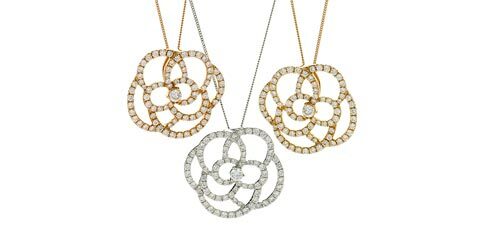 At Shining Diamonds we pride ourselves in delivering a brilliant service to match the occasion. All our diamond rings are hand made in Britain and are certified conflict-free. 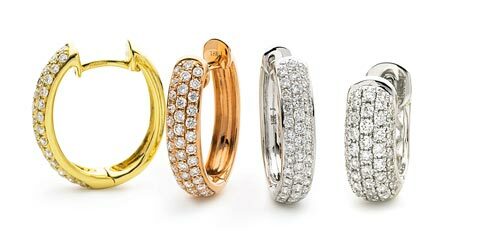 We have a 30-day return policy and deliver samples to your door. 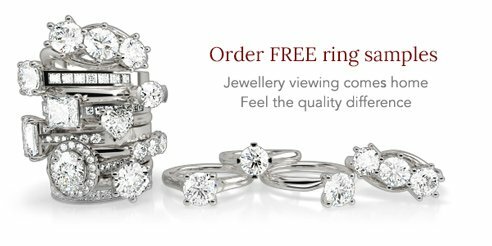 If you have any questions, feel free to contact us or visit us in our Hatton Garden office in the centre of London’s famous jewellery district.